Biomedical engineers at Duke University have developed a method for improving the accuracy of the CRISPR genome editing technology by an average of 50-fold. They believe it can be easily translated to any of the editing technology's continually expanding formats. 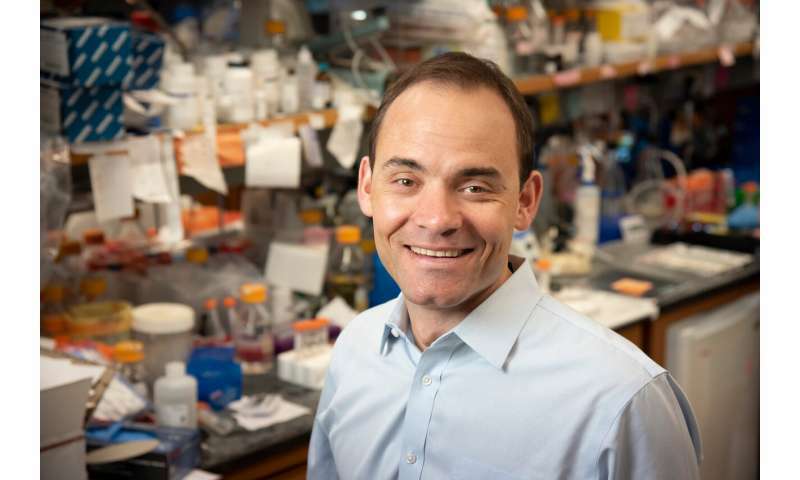 "CRISPR is generally incredibly accurate, but there are examples that have shown off-target activity, so there's been broad interest across the field in increasing specificity," said Charles Gersbach, the Rooney Family Associate Professor of Biomedical Engineering at Duke. "But the solutions proposed thus far cannot be easily translated between different CRISPR systems." A universal property of CRISPR systems is their use of RNA molecules as guides that home in on the targeted DNA sequence in the genome. Once a guide RNA finds its complementary genetic sequence, the Cas9 enzyme acts as the scissors that make the cut in the DNA, facilitating changes to the genome sequence. But because each homing sequence is only 20 nucleotides long and the human genome contains about three billion base pairs, there's a lot to sort through, and the CRISPR can sometimes make mistakes with sequences one or two base pairs short of perfection. One way to improve CRISPR's accuracy is to require two Cas9 molecules to bind onto opposite sides of the same DNA sequence for a complete cut to be made. While this approach works, it adds more parts to the system, increasing its complexity and making it harder to deliver. Another approach has been to genetically engineer the Cas9 protein to make it less energetic, so it's less likely to jump the gun and make a mistake. While this has also shown promising results, this type of protein engineering is laborious and such efforts are specific to each CRISPR system. "It seems like there's a new CRISPR system being discovered almost every week that has some kind of unique property that makes it useful for a specific application," said Gersbach. "Doing extensive re-engineering every time we find a new CRISPR protein to make it more accurate is not a straightforward solution." "We're focused on a solution that doesn't add more parts and is general to any kind of CRISPR system," said Dewran Kocak, the Ph.D. student working in Gersbach's laboratory who led this project. "What's common to all CRISPR systems is the guide RNA, and these short RNAs are much easier to engineer." Gersbach and Kocak's solution is to extend the guide RNA by as many as 20 nucleotides in such a way that it folds back onto itself and binds onto the end of the original guide RNA, forming a hairpin shape. This creates a sort of lock that is very difficult to displace if even a single base pair is incorrect in a DNA sequence being scrutinized for a potential cut. But because the guide RNA would prefer to bind to DNA rather than itself, the correct combination of DNA is still able to break the lock. "We're able to fine-tune the strength of the lock just enough so that the guide RNA still works when it meets its correct match," said Kocak. "It's a pretty simple idea even though Dewran completed several years' worth of research to show that it works the way that we think it's working," said Gersbach. "It's a nice, elegant solution for getting rid of off-target activity."